Here's more billboard crack for you out-of-home addicts. 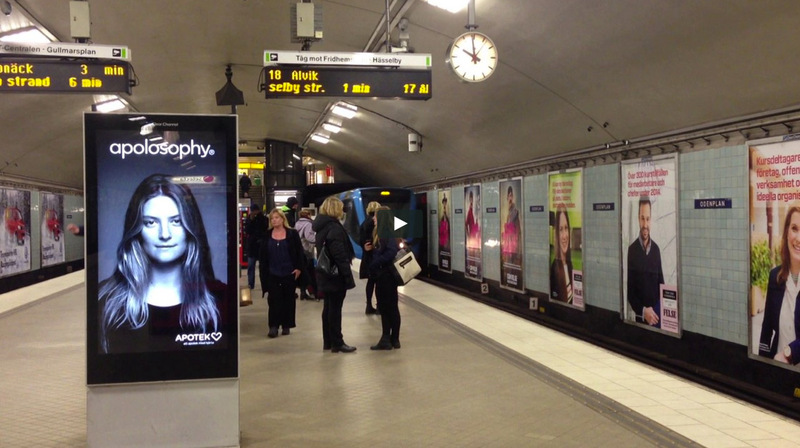 This fun digital subway ad in Sweden for hair-care products was rigged up to recognize when trains entered the station—and then showed a woman's hair blowing all around, as though windswept by the train. It's a simple, delightful effect—playful, responsive and seemingly magical in the way it erases the line between ad and environment. Ad agency Akestam Holst and production company Stopp produced the ad for Apotek Hjärtat's Apolosophy products. Stopp in Stockholm says the ad was scheduled to be just a one-day stunt. But Clear Channel loved it so much that they kept it live for five more days "as a way for them to show the opportunities their screens can offer."